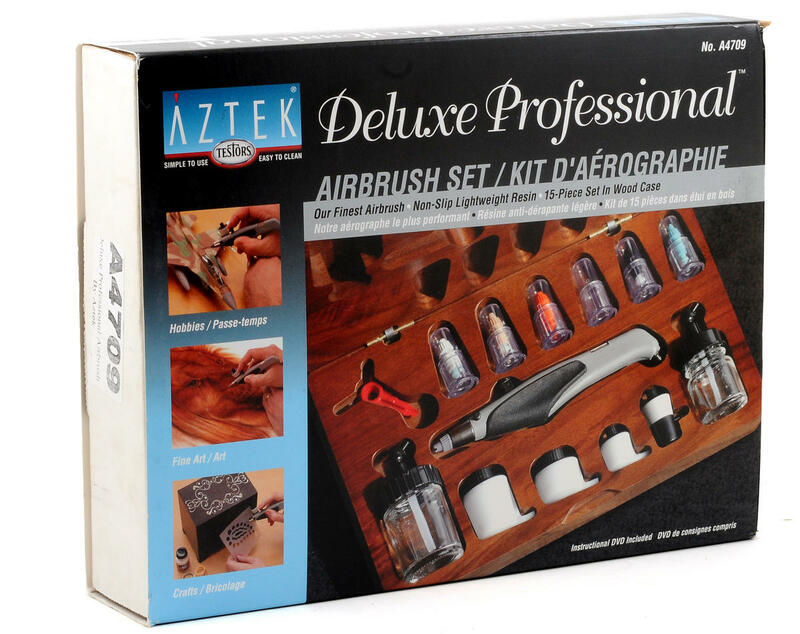 This is the Aztek A470 Deluxe Resin Airbrush Set, with an included wood storage case. 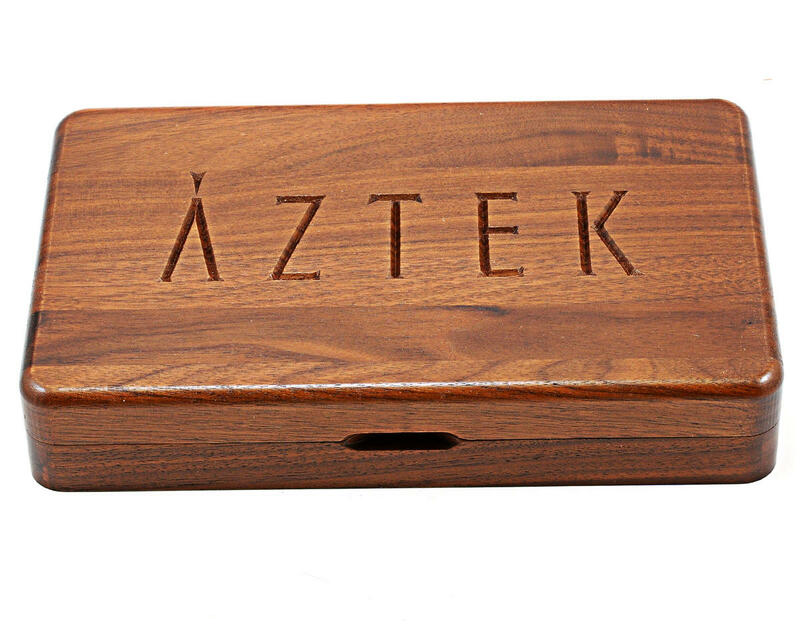 Aztek has created an outstanding airbrush that is an excellent choice for general coverage and precise small detail work. The A470 has the capability to be single or double action with a control dial for paint flow. 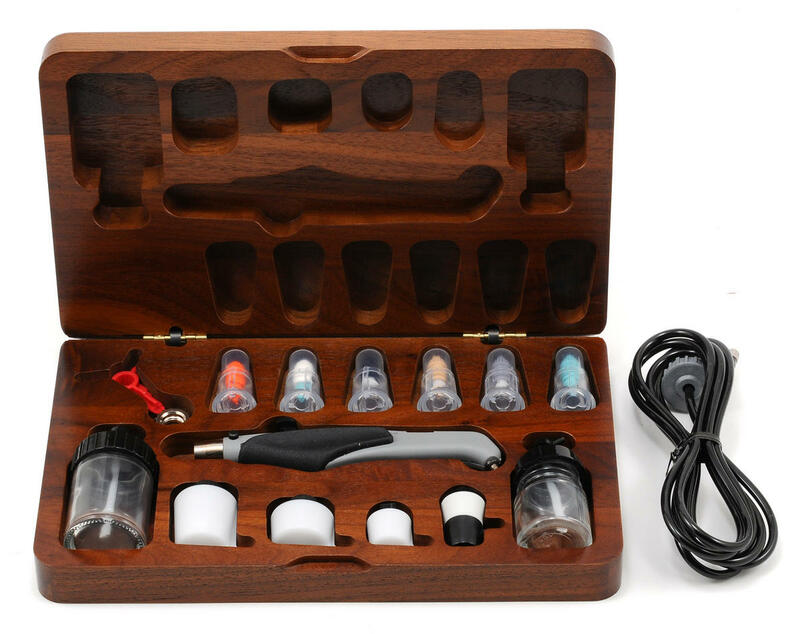 This is a double action (trigger controls both air and paint), internal mix airbrush with a 6' hose.